Have your say on how these products perform! GW readers are being offered the opportunity to test and review three of Swarfega’s most popular products absolutely free. 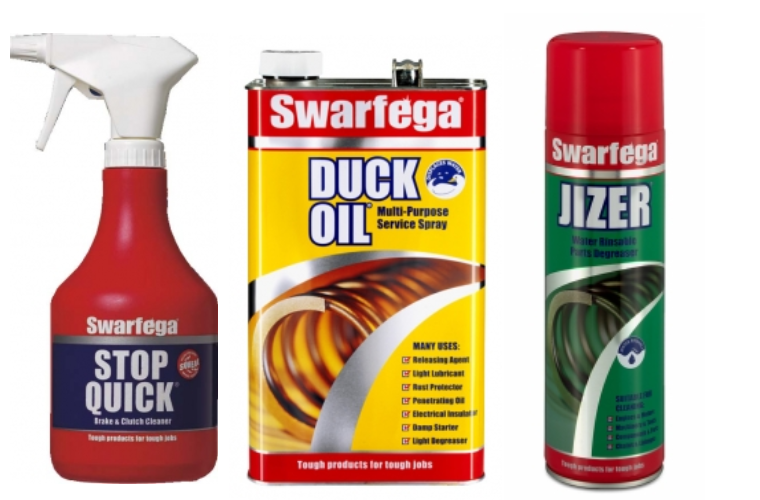 Garage owners technicians interested in reviewing Swarfega’s Stop Quick, Jizer and Duck Oil should email [email protected]. Swarfega’s Stop Quick is a quick drying brake and clutch cleaner that rapidly disperses across surfaces to dampen, absorb and remove dirt, grease and grime. With excellent wetting properties and low surface tension, Stop Quick quickly gets into the hard to reach parts of brakes and clutches, lifting off dust and grease that can build up and inhibit performance. For use on brakes, Stop Quick will clean drum and disk brakes, lining material, brake pads, block brakes, springs and cylinders. 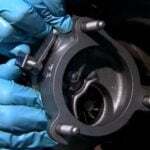 It can also be used to clean clutch parts including clutch linings, pressure plates and all other clutch parts. Used to degrease parts, Jizer acts swiftly to dissolve heavy deposits of mineral oil, tar, bitumen and waxes on a wide variety of vehicle parts that have metal, plastic and painted surfaces. Jizer can be rinsed away with water leaving surfaces clean and non-greasy. It is also perfect for removing tar spots from vehicle body work, for cleaning paint brushes and can be used to remove oil and grease marks from many floor surfaces. The formulation is concentrated and is fast acting meaning that small amounts will remove heavy soiling. With added rust inhibitor, Jizer also prevents corrosion during the degreasing process. Duck Oil is a multi-purpose service spray that can be used on almost any surface. With exceptionally low surface tension, it penetrates tight tolerances to release seized nuts, bolts and components. Safe to use on electrical components, Duck Oil can be safely used on all types of electrical equipment without impairing performance. Duck Oil displaces water, lubricates and protects machinery and parts with no need for dismantling. By forming a protective seal, it can help protect metal parts against rust for up to 12 months. Duck Oil can also be used as a light degreaser and to aid damp starting of motors. Review status: Enquiries to review these products have now closed and the review will be published in GW Views soon.